Strong storms caused widespread flooding and prompted tornado warnings as they moved through the Chicago area Monday night. 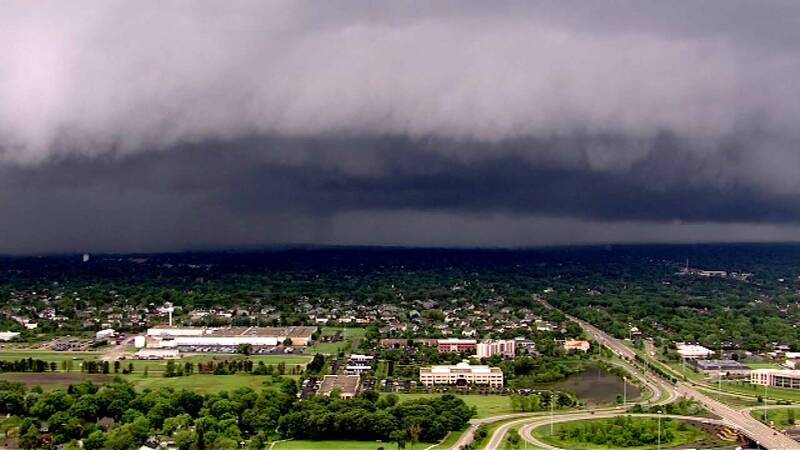 CHICAGO (WLS) -- Strong storms caused widespread flooding and prompted tornado warnings across the Chicago area Monday night. Many parts of the Chicago area are experiencing heavy rains as a tornado warning was issued for Cook County Monday afternoon. The high water made several roads impassable - including the inbound lanes of the Eisenhower Expressway at Harlem, where only one lane had reopened as of 11:30 p.m. The CTA Blue Line resumed service with residual delays around 10 p.m. after standing water stopped trains between Forest Park and Harlem for several hours Monday night. Barricades were put up along the Chicago River as it flooded the newly-opened Riverwalk between Dearborn and Michigan Avenue. The Riverwalk is designed to flood and will be cleaned when the river level returns to normal, the mayor's office said. The Chicago Department of Aviation is reporting delays of two hours or more at O'Hare International Airport, where more than 815 flights were cancelled. Delays of 90 minutes and the cancellation of 25 flights are reported at Midway International Airport. The National Weather Service issued a flash flood watch for north central and northeast Illinois as thunderstorms are forecast to cross the area through Monday evening. Forecasters say the storms could dump up to two inches of rain per hour at times. The National Weather Service issued two tornado warnings in the Chicago area on Monday night. A tornado warning was issued for Kankakee and Will counties around 7:45 p.m. after radar indicated a storm capable of producing a tornado near Manteno. Will County Sheriff Deputy Chief Tom Budde said a spotter saw a funnel cloud near Symerton. There was a brief touchdown but there were no reports of damage. Just before 5 p.m., a tornado warning was issued for Cook County after radar indicated rotation in a storm cell near Bellwood. Tornado sirens sounded across Chicago and in Oak Park, Cicero and Riverside. There was no touchdown, but a funnel cloud was spotted near Midway Airport, officials said. Elmhurst police also reported a funnel cloud sighting near York Rd and Butterfield.